I've been going to shows at the legendary 9:30 Club since I was a teenager, and have seen some of the best of the best grace that venerable stage. It is a pleasure to be offering a pair of tickets to several upcoming 9:30/IMP shows over the next few months. 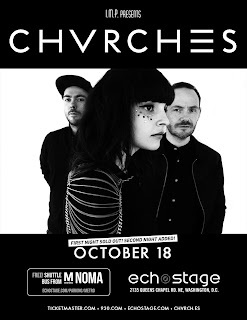 I've been lucky enough to see CHVRCHES live, and I can therefore emphatically attest to the fact that this is a band you should probably (as in definitely) experience live. 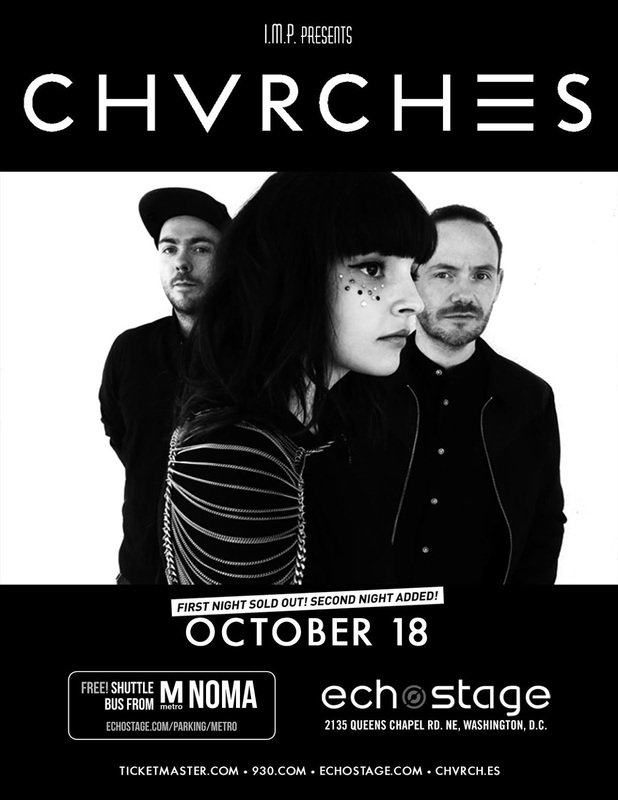 Happily, the Scottish trio is heading our way, and will be doing a two-night stand at the Echostage. The first night is all sold out, however, yours truly has a pair of tickets for the second night (10/18), and they can be yours all yours. To win the chance to dance the night away in a state of blissed-out abandon, simply send me an email telling me why you should be my lucky winner. Easy as pie! Contest will close at noon Eastern time on 10/16, so please make sure I get your entry in a timely fashion. Best of luck to one and all!